A while back I read an article about how Honda is advertising on Facebook, and they weren’t just setting up fan pages for each of their models (although they do have pages for each of their models!). They went a step further and partnered up with Cie Games to utilize, and for the first time, social media gaming as an advertising platform. 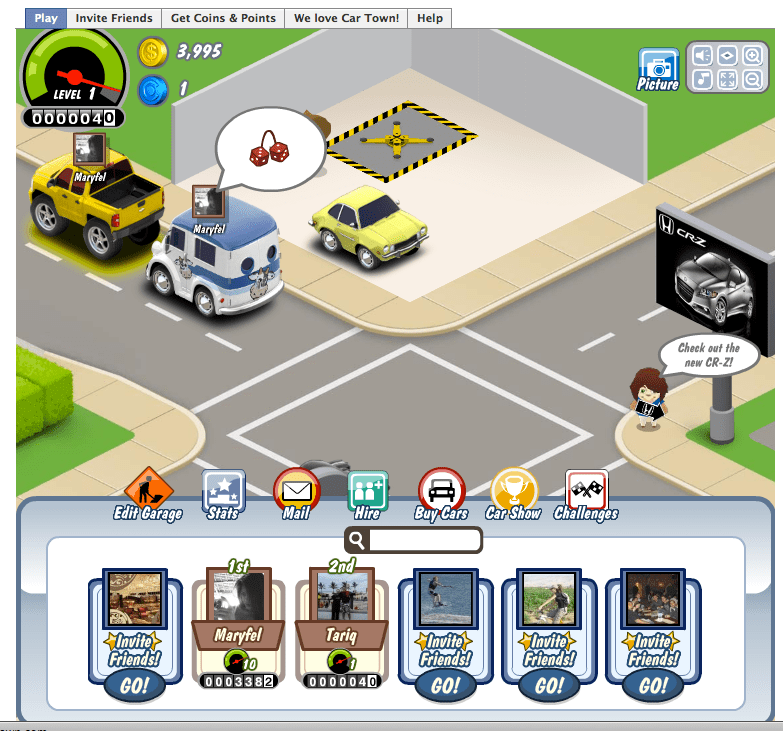 Introducing Car Town which is kind of like farmville for car lovers, its a Facebook application that lets you collect and customize your favorite cars and trucks, join your friends on a road trip or carry out challenges against them. Hmmm kind of reminds me of an article I wrote here! 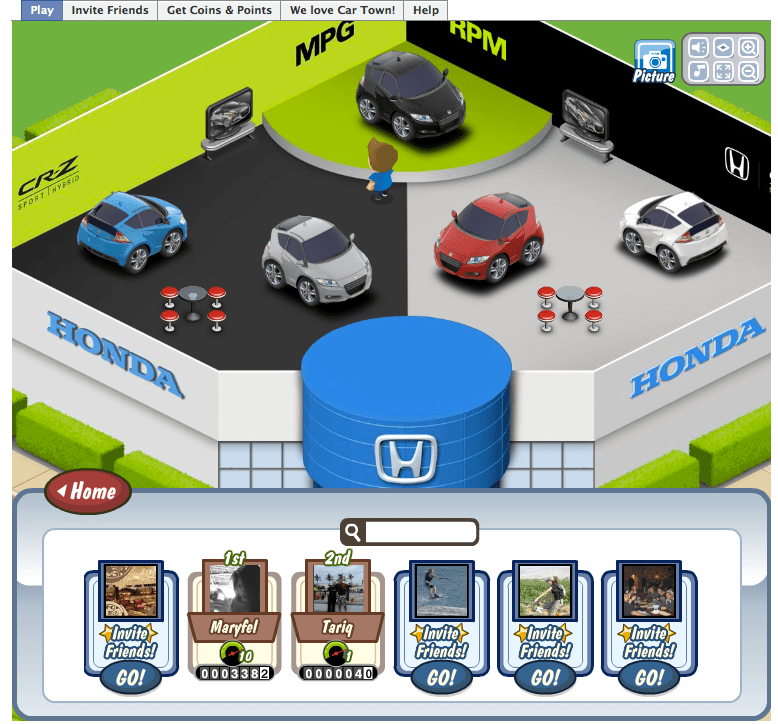 Since Honda also have a licensing agreement with Cie Games, then they could also have a virtual showroom to display all their car models and users can walk around in the showroom to decide which model to add to their collections. “With Car Town, participants can engage with and experience Honda in a fun and casual environment that’s not overtly commercial.” Steven Center, vice president of national marketing operations for American Honda. 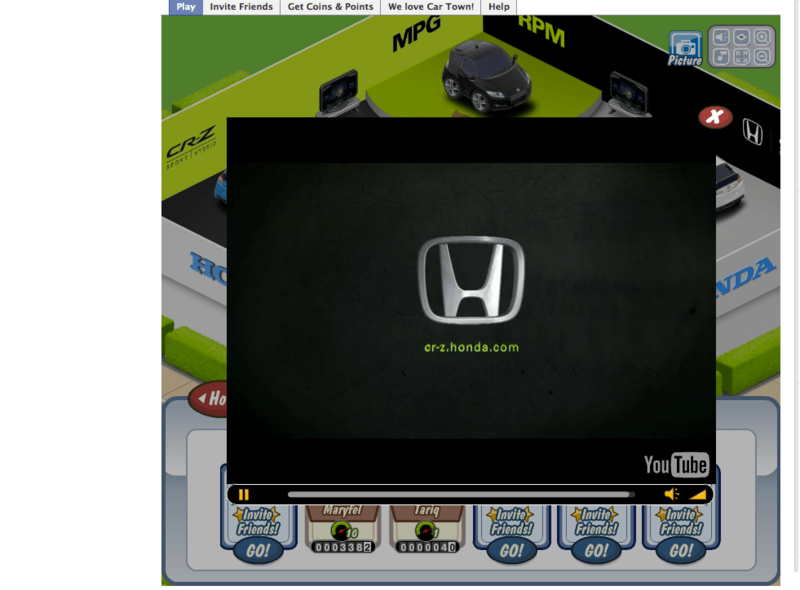 Also Honda earn a licensing fee each time a player buys one of their virtual cars using cash or points. 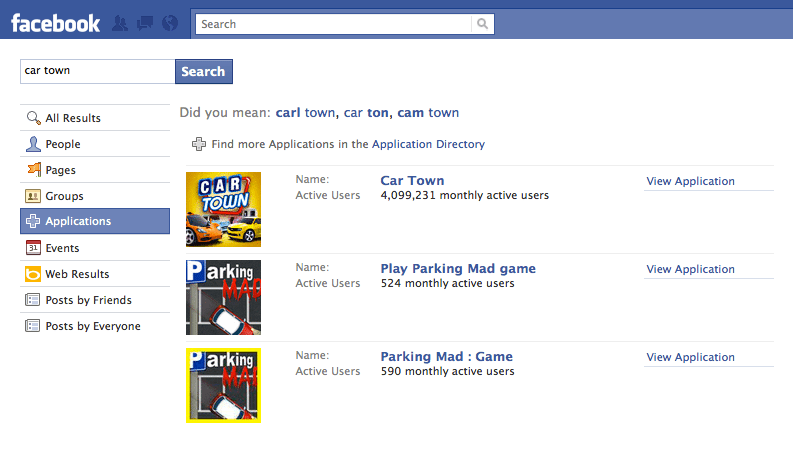 Car Town opens a channel for all the automakers to communicate with their market directly and Honda is not the only car manufacturer that has a license agreement with Cie Games there are also: DeLorean, Dodge, Fisker, Ford, General Motors, Lamborghini, Land Rover, Lotus, Mazda, McLaren, Mercedes-Benz, Nissan, Opel, Ram Truck, Scion, Toyota, Vauxhall and Volkswagen. Which is a very good start, however I have a feeling they will wait until they get some sort of feedback from the Honda CR-Z campaign, before they do the same thing. Social gaming is attracting a lot of attention from the big powerhouses, Google and Walt Disney Inc. have recently purchased game developing companies, to take advantage of all the users who are spending their times online playing games and connecting with their friends. They realize that these games can be sold to major advertisers as well as benefiting from all the user registrations and virtual money being spent online.